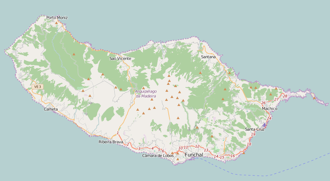 Madeira : When and where to go? One can easily praise the sweetness of life in Madeira in harmony with its climate. The latter gives it pleasant temperatures throughout the year, which means that they never descend below 10 ° C and do not rise above 30 ° C, at least on the Coasts. The best seasons to visit Madeira remain spring, which sees the exuberant flowering of vegetation, and autumn with its charming harvests. What to visit in Madeira? First, Funchal, its capital, feet in the water and head in the mountains, with its bushy gardens and houses with red roofs, its narrow streets, paved squares, churches and palaces reminiscent of its colonial past , The Sao Lourenço fort on the seafront, the Santa Catarina park and its chapel, the exotic gardens of the Quinta da Vigia, the palaces, the Christopher Columbus Museum, and the Madeira Wine Company. Do not miss either the Se Cathedral, the Flower Market, the Museum of Sacred Art in the former Episcopal Palace, or the fishermen's district with its many fish restaurants. On the south coast you can discover the fishing port of Camara de Lobos, then climb up to the rocky promontory of Cabo Girao where the view is dizzying, before heading southwest through bananas and villages, pines And eucalyptus, and reach the lighthouse located at the western tip of the island. On the north coast, you will discover natural pools and cliffs, then vineyards where we harvest Malvasia, a popular local specialty. Another seductive destination is the shallower, dryer island of Porto Santo, with its beach and small harbor with its white houses, and the remains of Christopher Columbus' house, now a museum. You will find in Madeira accommodation of all types and in a wide range of prices: pensions, rooms at the inhabitant, camping or classic hotels are numerous. As far as food is concerned, fresh produce is present and fish, with cod at the head, is the basis of the diet, although it is easy to find stews of pork or beef. The Madeira wine is obviously up to its reputation, especially to drink as an aperitif or dessert. The easiest way to travel is to rent a car as it is the only means of transport that will allow you to travel anywhere you want.